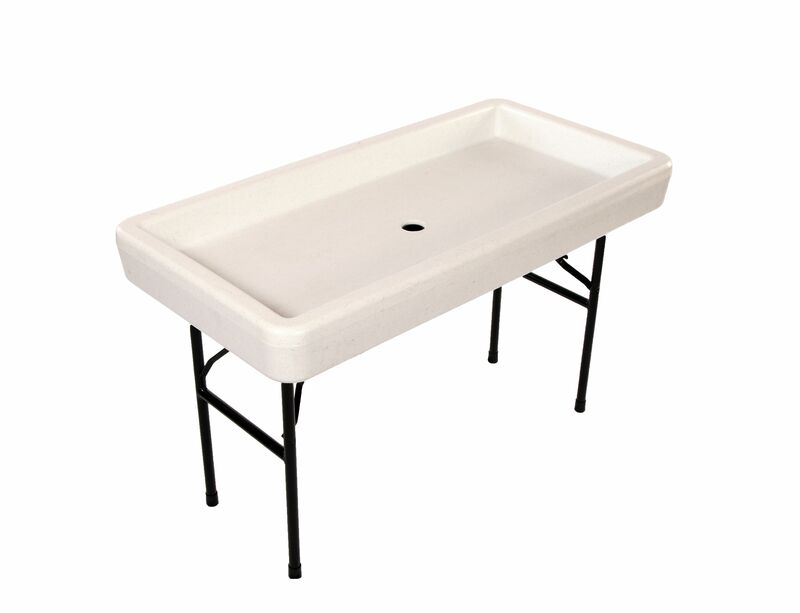 The LITTLE CHILLER™ Table is designed to hold ice keeping food and beverages cold. 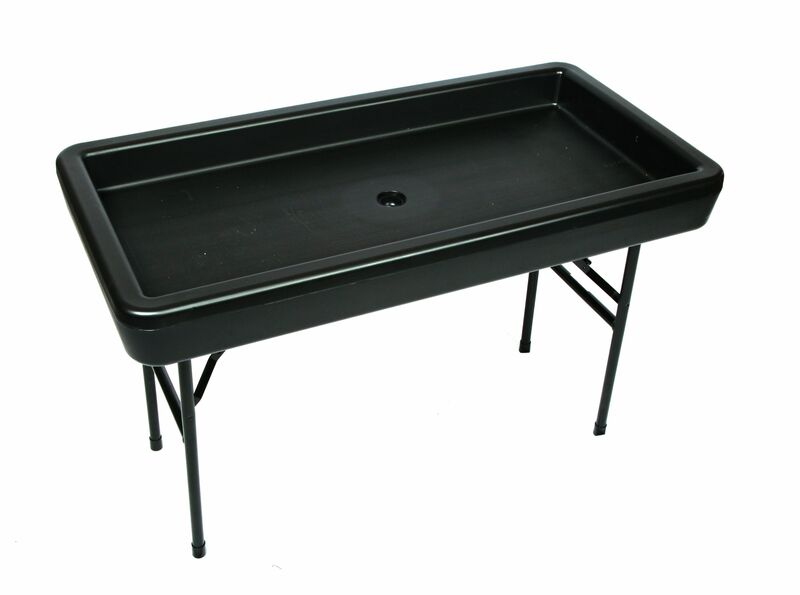 It has a tapered bottom and features a two-stage drain system. Steel legs lock in place to provide superior strength but collapse for storage. Use indoors or out. Weight capacity 350lbs including 35 to 50 lbs. of ice. 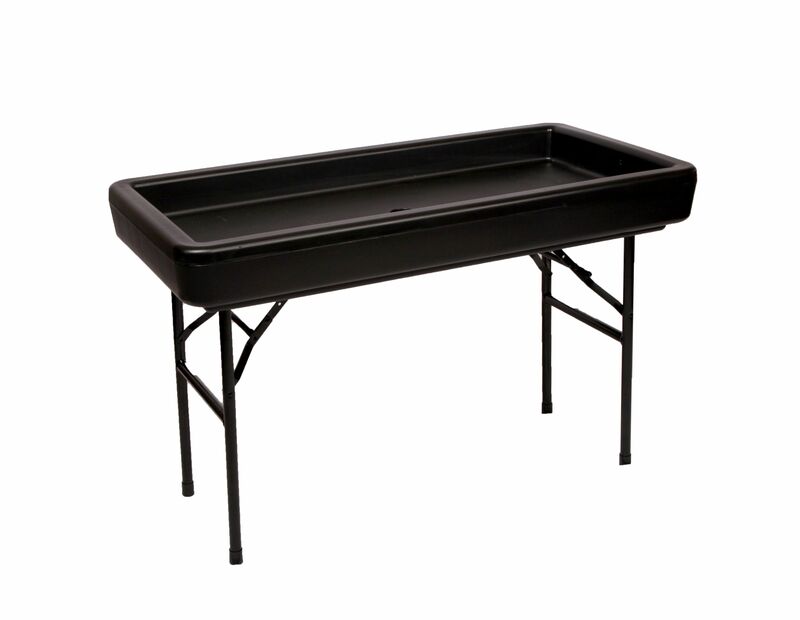 If you need a larger table check out our Fill ‘N® Chill Party Table here.